When in doubt, walk it out! No time? No equipment for a workout? Walk! 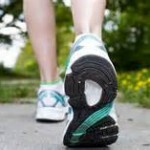 Walking for fitness doesn’t require expensive equipment, proper clothing, a specific location or a baseline of fitness. Simply grab your keys, phone and go. 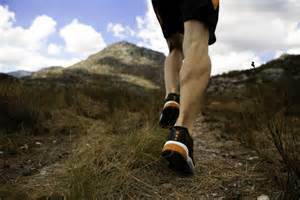 Instead of focusing on a target pace, set a goal to walk at a sustained pace, of your choosing, for a specific time. Begin with 5 minutes and build from there. Unsure of walking outdoors? 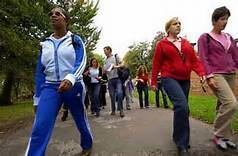 Walking may be done indoors for safety and comfort via the grocery store, mall, hallway or even around your living room. Indoor walking provides restrooms and chairs as soon as they’re needed. And the benefits are the same! You’re strengthening your heart, lungs, muscles, balance and agility. Go fast, go slow, go long, go slow, go outdoors, go indoors… JUST GO! Walking Lunges. At the end of your walk, perform one to three sets of walking lunges. Step forward about three feet with your right foot. Bend your left knee and lower it about twelve inches toward the floor; bend your right knee so it is directly over your right ankle. Then transfer your weight forward onto your right foot, lift your left foot and swing your left foot to the center, then forward about three feet. Bend your right knee and lower it about twelve inches toward the floor; bend your left knee so it is directly over your ankle. Repeat ten times. For more of a challenge, increase the range of motion of lowering the knee towards the floor. Lower down until your knee is about two inches off the floor. Standing Calf Raises. 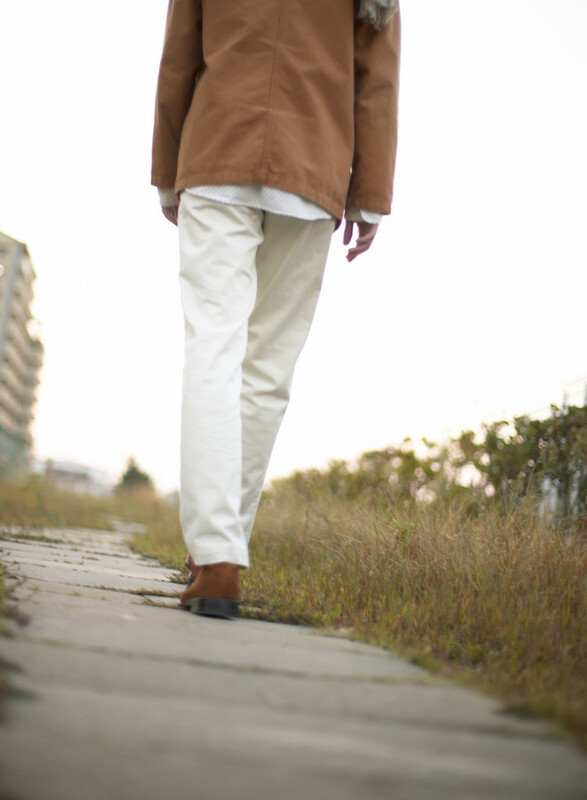 At the end of your walk, perform one to three sets of calf raises. Stand facing the curb or a step. Hang your heels off the curb. Lift and lower your heels. Perform ten to fifteen repetitions. For more of a challenge, place both arms across your chest when lifting and lowering your heels. Doing so will add a balance challenge into your calf raises. Wall Squats. At various intervals during your walk, find a place to perform a wall squat hold. Position your feet about three-feet away from the wall and lean with your back against a wall or secure post. Slide your body down the wall until your thighs are parallel to the floor, keeping your knees directly over your ankles. Hold this position for ten to thirty seconds. Perform two to three sets back to back with thirty seconds rest in between holds. For more of a challenge, while in the wall squat position, keep your torso upright and still and lift your right foot about six inches off the ground and hold for ten to thirty seconds. Return your right foot to the floor and then lift your left foot about six inches off the ground for a hold of ten to thirty seconds. Perform two to three sets with each foot. Walking Pick ups. Choose different landmarks on your route, or at specific time or mileage intervals do a quick pick-up of your walking pace for two to three minutes. 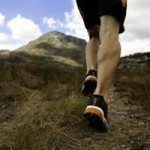 During the pick up interval, shorten your stride, focus on the turnover of your legs, and move your arms. 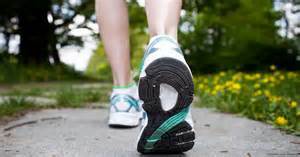 For more of a challenge, decrease the rest time in between intervals to thirty seconds of walking. Then go right back into another pick up interval. Jogging Intervals. 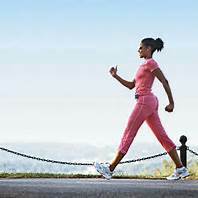 At each mile, do a short thirty second to two minute jogging interval. Extend the duration of your intervals to increase the intensity of your workout. Stair climb. 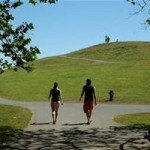 Find a flight of stairs on your walking route and do a few quick intervals up and down. 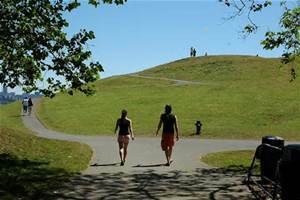 To ramp up intensity, take the steps two at a time on the ascent and jog the descent. Be Prepared! Be ready for anytime and anywhere fitness with a little planning ahead. Keep a pair of walking or athletic shoes by your front door, in your car or in your day bag. Doing so means when unexpected time becomes available such as an appointment running late, a cancelled meeting or impromptu downtime, you can simply put on your shoes and log a fast 10-20 minute walk! Check back often for your useful and practical healthy living and fitness tip! Our Get Fit Quick tip will always be easy to remember and you’ll be able to implement it the very same day. Our tip will be so clear and concise you’ll be motivated to forward it to all your friends and family to inspire them to live healthy and fit as well!